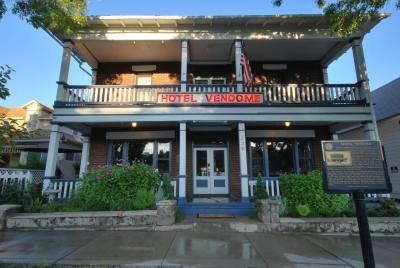 Lock in a great price for Hotel Vendome – rated 9 by recent guests! The location was perfect for walking around downtown. 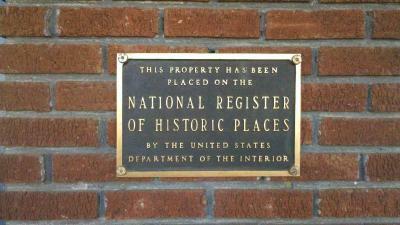 The historic building has character, but the amenities are modern. The rooms were cozy. And my fiance was able to get some emp readings. Great walking distance to the prescott stores and restaurants. Easy parking. Staff was excellent. Old west boarding house kind of feel. Not fancy or pretentious, but, sweet and thoughtful. Bathroom was very spacious. 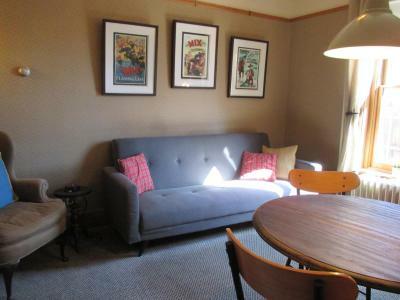 Close to the courthouse square and walking distance to Whiskey Rowe. Great location close to old town. Bed was very comfy! Incredibly friendly and helpful staff. 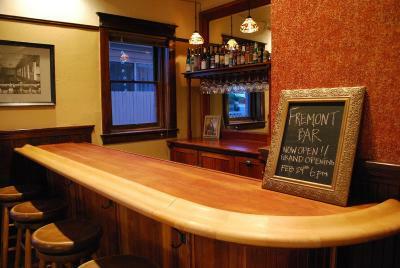 Great downtown location, complimentary glass of wine at happy hour. The Hotel Vendome offers exceptional service in an historical hotel with more than expected upgraded rooms and baths. Their staff went above and beyond by mailing a left-behind backpack to us...so appreciated!! The location is perfect. It is a short walk down town. The staff is great. The rooms are comfortable and clean. Great location and loved the historic aspect of it. Offering accommodations in a historic building, Hotel Vendome is set in Prescott, Arizona, 1,150 feet from Courthouse Square and Whiskey Row. Guests can enjoy the on-site bar. Free private parking is available on site. Every room is air conditioned and features a TV with cable channels. 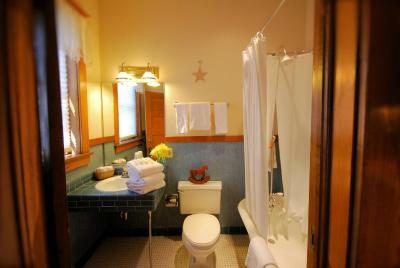 Each room is fitted with a private bathroom. Extras include free toiletries and a hairdryer. 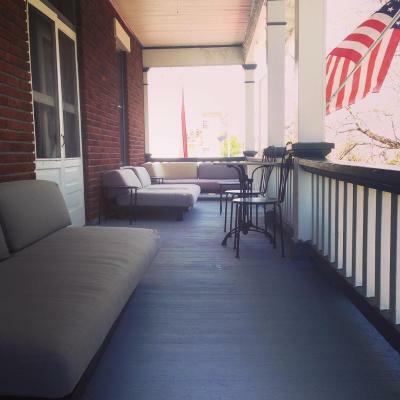 Hotel Vendome features free WiFi throughout the property. You will find concierge service at the property. A wine and beer bar is available. Guests will enjoy the guest pantry equipped with coffee maker, refrigerator, microwave and assortment of teas and coffees. When would you like to stay at Hotel Vendome? This air conditioned room features a flat-screen TV and complimentary WiFi. 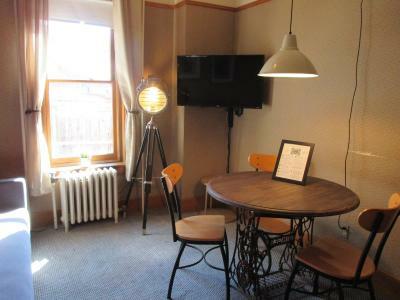 This air conditioned suite features a flat-screen TV and complimentary WiFi. House Rules Hotel Vendome takes special requests – add in the next step! Hotel Vendome accepts these cards and reserves the right to temporarily hold an amount prior to arrival. Please inform Hotel Vendome of your expected arrival time in advance. You can use the Special Requests box when booking, or contact the property directly using the contact details in your confirmation. The couple in the room next to us were drunk and yelling at each other so loud that the police showed up. While that is not something that the hotel could have predicted, it affected the experience. We had to explain what was going on to our young boys and they didn’t get much sleep from the yelling. Staff was real friendly & helpful. Only feedback.... The beds are quite hard. And it took way too long for the bank to process the charge. Very comfortable. Original old west! We did not have a quiet night due to the bad behaviour of our neighbors, but, the management reached out to us and gave us a comped night for future use which is very sweet. No in room coffee ( had to get dressed and walk downstairs). If the weather was any warmer, it would’ve been too hot upstairs! Lucky it was still cool in March. No maid service and when we inquired we were treated as if they couldn’t be bothered. It had a cozy feel. I love the historic atmosphere. The bathroom was perfect for this quaint room. When it's snowing in Prescott drive safe and take extra care. Not one thing!! We will come back and also share this hotel with others who may be traveling their way! !